Two volumes of well-produced analysis of joseki choice for 3-4 point variations, containing many valuable insights of Yang Yilun. Written by Yang Yilun and Phil Straus, designed by Julia Runk Jones; published by Fourth Line Press (1996, 1997). Now owned and distributed by Slate and Shell. The teaching method is compare and contrast. A set of seemingly similar board positions are presented and one is asked to choose among several joseki continuations in each position. The answer pages explain the differences in board position and their impact on each joseki choice. See the sample problems and answers below. "Think globally, act locally" is useful advice, but how do you do that in Go? 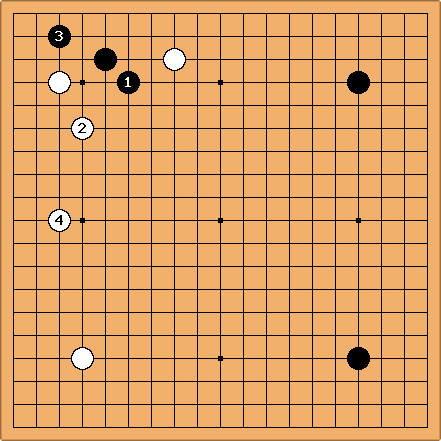 Yilun Yang, a master of Go with an innovative approach to teaching Western students, shows you exactly what this means for understanding 3-4 point joseki. Using over 100 elegant examples, you learn how to use a whole board perspective to do the right thing locally. 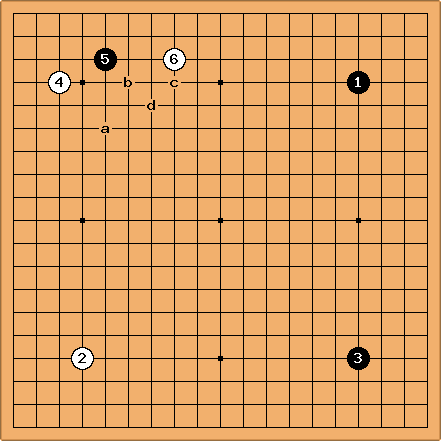 This first volume focuses on joseki involving a low, third line, approach to a 3-4 point stone. With tens of thousands of patterns to choose from, the study of joseki might seem daunting, but not after reading this book! Mr. Yang's simple but powerful principles for globally consistent opening play will free you from rote memorization. This second volume on joseki focuses on high and far approachs to a 3-4 point stone. Don't miss your chance to leap ahead instead of struggling to keep up. BramGo: Recently I was in my local go-shop. And I must say these 2 books were the most interesting ones I could find. They assume you know most joseki variations allready. So it really only concentrates on "when to use which move". So this is actually the only high-quality information on 3-4 point joseki that I have ever seen. (with all respect, but Senseis Library and books like The small Fuseki Encyclopedia of the Nihon Kiin are not even worth comparing). And it comes in a very handy big format with huge diagrams and very little text (to the point). It reads very fast. After reading the first 60 pages of the 2nd book, I decided to read the 1st book as well. Then I discovered that the 1st book misses an introduction problem. Because it is not really clear to me when to use which pincer. In the 2nd book they do talk about that but in the first book it is left out. In both books they do explain when a certain reply is good or bad. I am just wondering, is there anybody who knows a good website or book that explains this for me? George Caplan Another book with a similar approach is the out of print The Great Joseki Debates. 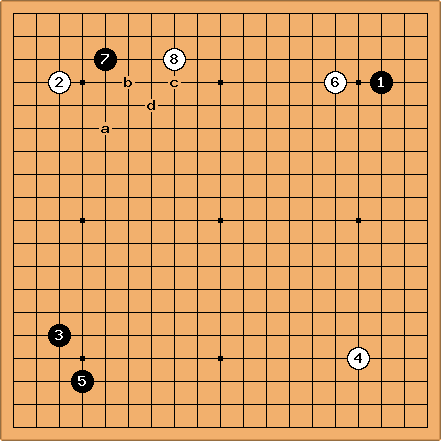 The material also appears in older Go World's. Mr. Yang has given guidelines for choosing the correct pincers - but I cannot recall if it was in workshops I have attended, or in Fundamental Principles of Go. Shaydwyrm: Fundamental Principles of Go has some material on choosing a pincer (high or low, tight or loose). 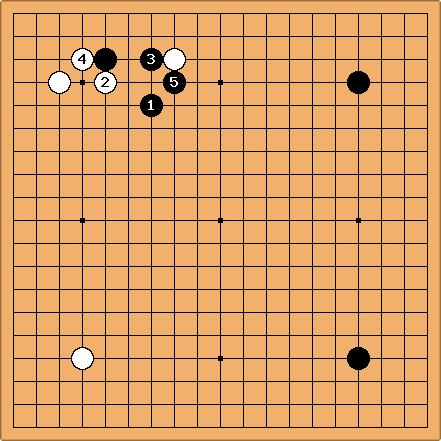 It doesn't go into nearly as much detail as Whole Board Thinking In Joseki, but it's a good starting point. I remember Mr. Yang going into the topic in one of his KGS Plus lectures as well, but I don't know which one (I let my subscription lapse and lost access to some of the older lectures). These problems are taken from the section of volume one entitled Two-space Low Pincer. All four problems appear on the same page and are to be solved as a single set. In each case there are four solution diagrams: one of each of the four possible moves listed in the problem. Answers for only the first of the four problems are shown here. The diagonal move is defensive. is a solid and slow move. Black makes a base with . 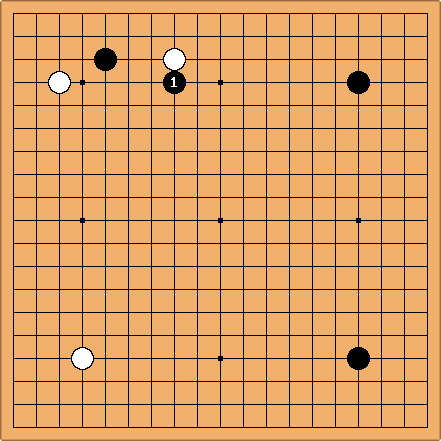 To attack White's single stone on the top, Black needs a more powerful position in upper left. The contact move may be a thank-you move. Note: Problems 44-46 analyze the responses to and when each is appropriate. The double diagonal give away too much territory. is a light move. is the best answer. After , both sides have thick shapes. White comes out ahead in the race for a territorial advantage. Go Seigen's family name is Go and his given name is Seigen. The form Go Seigen follows the oriental custom of writing the family name first.